Earlier this month, the Illinois Department of Health cited Galesburg Terrace Nursing Home for the presence of black mold in several resident rooms and in one of the shower rooms. WHO out of Des Moines is now reporting that the family of Mildred Sotto is now concerned that the black mold may have been a factor in Mildred's health or even played a role in her death. Mildred was ruled to have died from pneumonia, but given this new discovery the family is right to consider that the presence of this toxic black mold may have caused or contributed to her death. 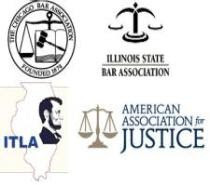 Illinois law provides that in a civil case the Plaintiff (the party bringing the case) need not prove that the cause of death was one single and exclusive factor. The party can bring a case by showing that A factor, in combination with other factors, led to an allegedly wrongful death. Nursing Homes in Illinois have a responsibility to provide healthy and safe homes for its residents. The presence of potentially toxic black mold is an inexcusable violation of the trust that residents and their families place in the nursing home. Black mold can be easily removed with standard cleaning processes. There is simply no excuse for a potentially toxic substance such as this to be present in Galesburg Terrace. If you have any questions regarding this post or an issue involving Nursing Home Abuse and Neglect, please contact Illinois Nursing Home Attorney Mike Keating at 312-208-7702 or MKeating@KeatingLegal.com. All initial consultations are confidential and free.